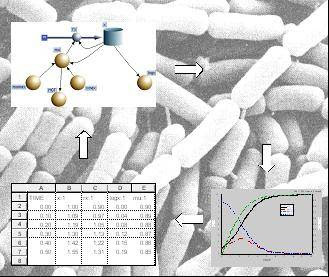 will be able to develop a simple dynamic model for a biological or chemical system. Lectures: Introduction. Static, comparative static and dynamic models. Principles of modelling. Model components: stocks, constants, converters, flows, etc. Ordinary differential equations, difference equations, discrete elements; integration methods. Model validation. Examples of dynamic models in microbiology, bioihemistry, biology, ecology. Workshop: An introduction to the use of Berkeley Madonna. Macey R., Oster G., Zahnley. 2000. Berkeley Madonna User’s Guide. UC Berkeley. Interested students and staff please contact Prof Paul McSweeney (p.mcsweeney@ucc.ie) for further details.